William Rudolph Kilby, Sr., “Rudy”, 67, of Madison, VA, passed, March 17, 2019, at his residence. He was born on May 27, 1951 to the late Otha and Bernice Ruffner Kilby. William Kilby Jr. (Tomeka), Preston Kilby, and five grandchildren. Baptist Center, 15044 Ryland Chapel Road, Rixeyville, VA. 22737. 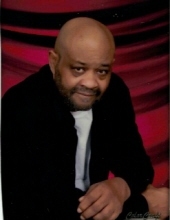 Viewing at 10 a.m. until time of service at 11 a.m. Interment at Pilgrim Baptist Church, Mitchells, VA.
To send flowers or a remembrance gift to the family of William Rudolph "Rudy" Kilby, Sr, please visit our Tribute Store. "Email Address" would like to share the life celebration of William Rudolph "Rudy" Kilby, Sr. Click on the "link" to go to share a favorite memory or leave a condolence message for the family.